Oh how I love my KitchenAid stand mixer! My hubby bought me one for Christmas two years ago. I knew I was getting one because my mom spilled the beans a few weeks earlier but I was super anxious to open it. What color did he get?! What did it come with?! What am I going to make first?! I opened all my presents (including a vacuum that I swore was the Kitchenaid!) and no mixer. He knew I was waiting for it so he left it in the garage until the very end. Sneaky, sneaky! He bought a beautiful turquoise-y blue one and I was instantly in love! I had to rearrange the kitchen because it didn’t fit under the cabinets. But that’s ok! It’s out and I love it so! This past Christmas I asked for a few attachments for my beloved mixer. At first I wasn’t specific with my family – I just said attachments. Whoa. There are so many out there! I did a little research and found the best KitchenAid attachments, also known as the ones I requested for Christmas! Side note – if you purchase any attachments, double check that they fit your specific mixer. My sweet hubby bought me number 3 and it was the wrong one! Wire beater, dough hook and flat beater – these are the 3 attachments that come with most models. And they are awesome! I would say 90 perfect of the time I use the flat beater in my cooking and baking. Pouring shield – After a few tries with my new mixer, I realized pretty quickly that I needed the pouring shield. My model lifts the bowl instead of the title head ones so if I have a big bowl or measuring cup that I’m using, it’s hard to pour. Without making a mess. I take it off after I’m doing pouring. Beater blade – This was another attachment that I knew I wanted right away. It scrapes the sides of the bowl for you! Yess! No turning off the machine and scraping down the sides and then ack to mixing. This little beater does it for you. Shredder/slicer attachment – Oh, how I love this attachment! I use it to slice veggies (like cucumbers), cheese and even to shredded my bar soap for homemade laundry detergent! I use a baby bottle brush to help with cleaning and I am good to go! Pasta roller – Yes! I asked my brother for this attachment last year and squealed when I opened it! It has easy recipes in the booklet for homemade pastas, but I haven’t used it yet! I have big plans for a homemade pasta dinner this Christmas so I will report back at how it goes! Grinder – This is one that I thought would be great for Ryon. He brews beer and this would be perfect for grinding the barley. I may get it for him for Christmas and then use it when he’s not looking! Sausage stuffer – I know, I giggled at the name too. But Ryon also hunts so he could use the grinder for venison burgers and then the sausage stuffer for fresh venison sausage! It’s a win-win. 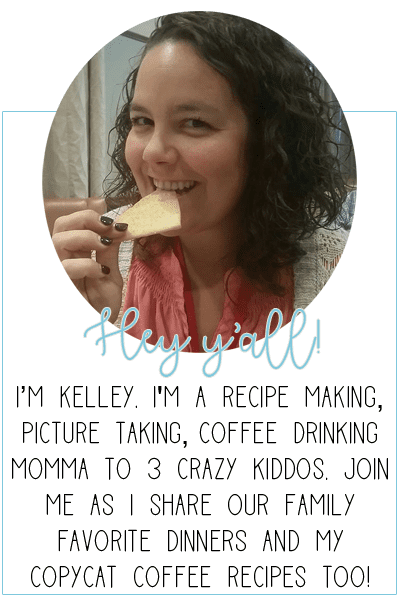 Spiralizer – I have this one of my list! I think it would be great to use for things like zucchini noodles and apple chips. Ice cream maker – How FUN is it that you can make ice cream with a Kitchenaid?? I have heard great things about the ice cream maker and how easy it is to use. I bought a super cheap ice cream maker at Target a few years ago and it’s still going strong. (Funny how that works sometimes!) But once that kicks the ice cream bucket, I’ll snag one of these! Bowl covers – Not an attachment, but SO handy to have! My brother (he’s kinda awesome now that I think about it!) bought these for me along with the pasta roller. They are perfect for covering your bowl and chilling it for later or letting your dough rise. Again double check that you buy the right covers for YOUR mixer! I hope that helps narrow it down for you as far as attachments go! There are so many great ones out there but these are my favorite/requested ones. Also, double check that you are ordering the right attachment for your model! I would hate for you to get an attachment or part and you can’t use it because it’s for the wrong KitchenAid! Trust me – been there, returned that! Be sure to sign up below to snag your free Kitchenaid attachment checklist! I hope you get all of them my dear! You deserve them! You are an amazing cook!